Typical challenges found in poor kitchen designs seem to mirror those found in data center designs: wasted space, poor lighting, inadequate ventilation and unstable power. In my custom-built kitchen, it is impossible for me to open both the dishwasher and the kitchen cabinet that stores the dishwasher soap at the same time. The dishwasher has to be closed for the cabinet to open (and vice versa). Many data centers are also custom-built despite the higher costs and increased potential for design errors. A lower cost, lower risk alternative is to incorporate standardized designs that apply best practices to data centers of all sizes. Pay attention to sequence of execution – From the outset, data center planning and design must be performed in the proper order. The project will run more smoothly when the stakeholders are provided with the right information at the right time. Start by identifying a business need. Then determine the project parameters around criticality, capacity, growth, efficiency, density, and budget. These six key project factors set the high-level goals of the project. 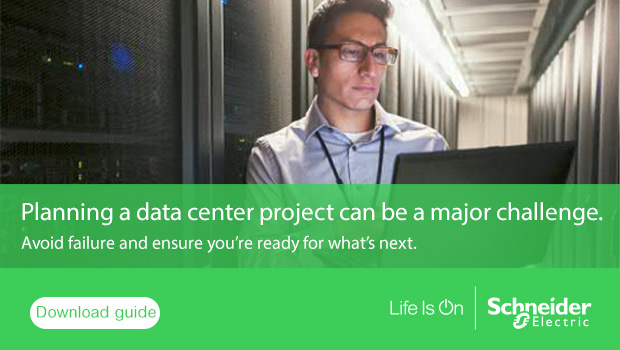 Make sure data center requirements align with your project budget early in the planning stages. Search out a reference design – When you walk into a Home Depot or a kitchen-specialty store, think about the catalog of pre-designed kitchen layouts that the salesperson shows you. Someone has already gone through the trouble of thinking about all of the “gotcha’s” in designing the kitchen and priced the designs to accommodate specific budget limits. Today, the same holds true for data centers. New “reference designs” are available that integrate the best practices and minimize the errors. These pre-configured data centers come in all sizes, and they ensure that modular / scalable power and cooling is both adequate and flexible enough to accommodate changing IT requirements over time. Consider site selection as a critical success factor – Although site selection is a critical element, consider completing the design before site selection, unless site location is non-negotiable. Well-defined design criteria and performance requirements will make the evaluation of potential sites far more meaningful and objective. Factors such as climate, electricity rates, and incentives are all dependent on the site selection and these factors, in turn, affect overall data center costs and performance. HAHA! I never thought about it like that!